Main Street in Swanton is down to one lane at the Ohio Turnpike due to bridge work. Construction season has kicked off on the Ohio Turnpike, and it will impact local drivers both on and off the highway. 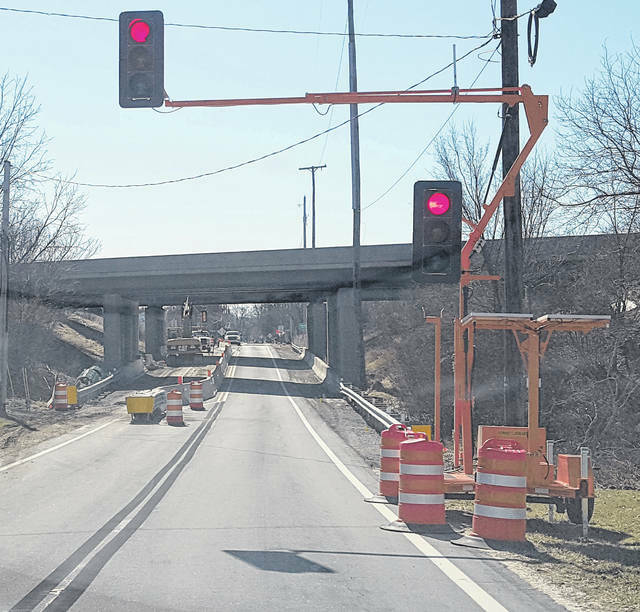 Bridge work will be the focus of the construction in Fulton County. Bridges will be replaced near the fairgrounds and in Swanton. Beginning this week, and ending Nov. 14, 2020, twin mainline bridges over an inactive railroad will be removed at mile post 34.2, just west of State Route 108, and replaced with new pavement at the location of the existing bridges. Also beginning this week and ending Nov. 14, 2020, there will be construction on the bridge over State Route 108. It will be widened, and the deck replaced. The job has been contracted to Miller Brothers Construction for $27.65 million.